Johnny Depp explains his apology video on Jimmy Kimmel Live. News Amber Heard has filed for divorce just two days after Johnny Depp's mother died. 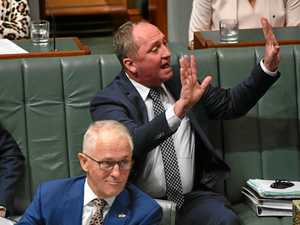 Politics HOLLYWOOD heavyweight Johnny Depp has once again taken aim at Australian Deputy PM Barnaby Joyce, saying he looked as though he was “inbred with a tomato”.